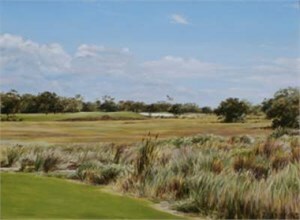 Anderson Fine Art Gallery on St. Simons Island, Georgia has represented Lori for many years and sold many paintings of Sea Island and the surrounding golf courses at the Lodge and grounds of the Cloister Resort. Contemporary artist Lori Zummo paints in a style evocative of the American Barbizon School. She received her BFA from Syracuse University in 1984. After receiving the first place award in oil painting from the New York chapter of the National Society of Arts and Letters in 1986, Ms. Zummo was granted a full scholarship to the New York Academy of Art's Master Class program. The NYAA's extensive study program, which is based on the Italian Renaissance and the French Academy training tradition, further enhanced her technique and style. Since then, her work has been shown at galleries in New York, Boston, Chicago, Washington D.C., Cincinnati, Southampton NY, Sarasota FL, Martha's Vineyard and Nantucket, MA. Patrons all over the country have collected her work extensively. For the past twelve years, Lori Zummo has been one of Nantucket's most popular and best-selling artists. 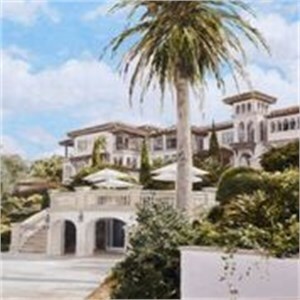 Recently she completed a series of paintings based on visits to The Cloister on Sea Island, Georgia. These paintings are available through the Anderson Fine Art Gallery on St. Simons Island. LORI ZUMMO Anderson Fine Art Gallery on St. Simons Island, Georgia has represented Lori for many years and sold many paintings of Sea Island and the surrounding golf courses at the Lodge and grounds of the Cloister Resort. Contemporary artist Lori Zummo paints in a style evocative of the American Barbizon School. She received her BFA from Syracuse University in 1984. After receiving the first place award in oil painting from the New York chapter of the National Society of Arts and Letters in 1986, Ms. Zummo was granted a full scholarship to the New York Academy of Art's Master Class program. The NYAA's extensive study program, which is based on the Italian Renaissance and the French Academy training tradition, further enhanced her technique and style. Since then, her work has been shown at galleries in New York, Boston, Chicago, Washington D.C., Cincinnati, Southampton NY, Sarasota FL, Martha's Vineyard and Nantucket, MA. Patrons all over the country have collected her work extensively. For the past twelve years, Lori Zummo has been one of Nantucket's most popular and best-selling artists. 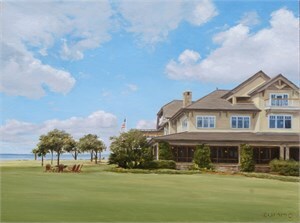 Recently she completed a series of paintings based on visits to The Cloister on Sea Island, Georgia. 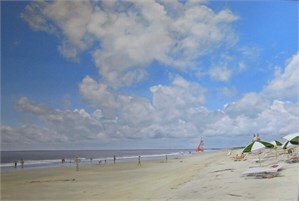 These paintings are available through the Anderson Fine Art Gallery on St. Simons Island.